According to the American Gastroenterological Association, nearly half of Americans report that digestive issues impact their sleep patterns, exercise, and participation in recreational and social activities. Digestive distress has been reported to affect over 95 million Americans. ammatory responses which may damage gut integrity. Enzyme supplementation encourages healthy digestion of proteins, fats, fibers and carbohydrates, in addition to promoting and optimally functional GI tract. 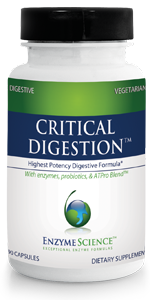 Providing the body with a su?cient supply of enzymes decreases the amount of energy required to complete the digestive process. By doing so, we redirect our enzyme potential for extended support. 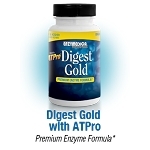 Enzymes provide therapeutic benefits beyond the GI tract by increasing physical vitality and general well-being.